When it comes to department stores, two names stand out above all else–with the possible exception of Sears–and these are: Macy's and J.C. Penney. These two massive department store chains are in fact so closely tied in to the retail shopping experience that they have almost become synonymous with "department store". Both have their strengths and weaknesses of course, but which one comes out on top? Let's take a look! 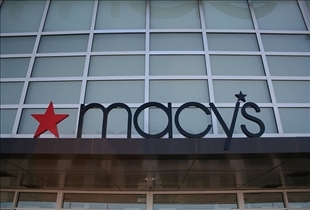 Macy's and J.C. Penney can be said to be the last remaining “true" department stores in the traditional sense of the term. The two have just recently been enmeshed in a competition of sorts with one another, particularly in New York, where they have stores across the road from each other in Herald Square. Macy's has garnered a bit of a reputation as being somewhat functional but unadventurous. In fact, many have blamed the homogenization of department store fashion on Macy's and department stores of similar ilk. 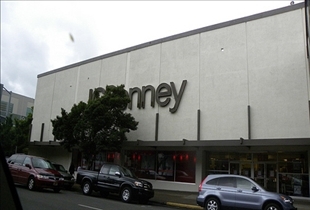 J.C. Penney for its part has always been known as a sort of mid-tier retail outlet that has more in common with Sears than Macy’s. Nevertheless, J.C. Penney has since made steps to move into a more department store-like direction, and much of its present focus is towards attracting a younger market. Macy's approach to fashion has always been decidedly mainstream and although it has featured works of celebrity designers in the past, many of these are seen as past their prime, to put it lightly. With recent moves to capture a younger market however, the department store has seen fit to feature works of innovative new designers along with their traditional offerings. All this is seen as being “too little, too late” by J.C. Penney, which has launched its own lines that cater to a younger, more fashionable crowd. Of course J.C. Penney’s efforts are also under scrutiny, particularly since it is clearly trying to establish itself at the forefront of the consumer fashion industry. While the efforts of both department store chains to make a bigger splash in the consumer fashion field, it is uncertain whether they will be able to shake off their “department store fashion” tag in the eyes of the public. Which store has more customers?